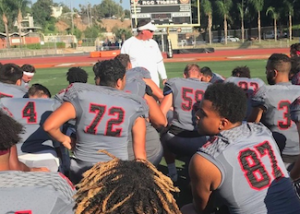 SAN MARCOS (8-29-2018) – Palomar College has some major reasons for optimism as the Comets prepare to kick off the 2018 community college football season this Saturday evening with a three-hour bus ride north to take on non-conference opponent Moorpark. 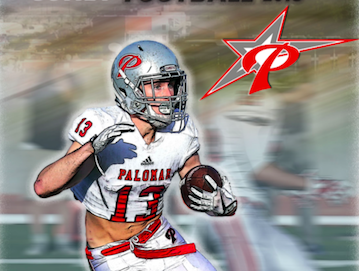 Palomar, following a big recruiting year, is talented, athletic, deep and used to playing a steady diet of some of the nation’s best junior college teams year-after-year-after year, the only community college in San Diego County to play in the state’s playoff-eligible top-level division every season since state playoffs were resumed years ago. But Joe Early, a former Comet player in his 17th season as head coach after earning his chops as an assistant on all three of Palomar’s state and national championship teams, is nothing if he is not a realist. And he is well aware that this talented group, with only 10 returnees from 2017, will have to grow up in a hurry if it intends to reach live up to its extreme potential. Along with Fullerton and the Comets, the National Central also includes Mt. SAC, El Camino, Cerritos along with San Diego Mesa, coming up to a state playoff-eligible conference from the non-playoff eligible American Division. The Comets have had a highly competitive battle for the starting quarterback job raging since the summer between former All-CIF San Diego Section selection RODNEY THOMPSON (St. Augustine High School / Northern Arizona University), CONNOR CURRY (former Louisiana 5A Player of the year and a transfer from Division II power Ouachita Baptist) and University of Wyoming transfer ADAM CARR. Joe Early and his brother, Offensive Coordinator Dan Early probably won’t name a starter for the opener until game time. Palomar has what could be one of best big-play receivers corps, led by returnees DEVIN NILSON (Carlsbad High) and ZAC MOREL (Vista High), 6-foot-6 former all-state high school selection LOGAN GAMBLE (Long Beach Saint Anthony High) who is a transfer from Cal Berkeley, MIKEL BARKLEY (Temecula Great Oak High) who runs 4.3 in the 40, and the El Camino High duo of MALACHI RUSSELL and JOHNNY ARMENTROUT. 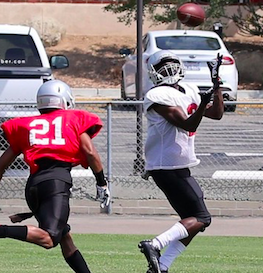 The Comets also have another potentially outstanding receiving and blocking tight end in 6-foot-4, 230-pound WILLIAM GONZALEZ (Murrieta Valley High). The leader to start at running back is Grossmont High All-CIF-San Diego Section selection SHEVELL STERLING, who is being pushed by DE’VION SNEED (Vista Murrieta High). The fullback is 6-foot-1, 260-pound U.S. Army Veteran ARNOLD YODER. The offensive line is big and athletic, including returnee JOSH CASTRELLON (6’0, 300 pounds, La Costa Canyon High) and newcomers FRANCISCO RODRIGUEZ (6’4, 300 pounds, Sickels High in Tampa, FL), BRIAN LINDHOLM (6’6, 290 pounds, Moses Lake, WA), WILL EOFF (6’6, 290 pounds, Vista Murrieta High), NIKOLAS OLERUSKI (6’3, 298 pounds, Mt. Carmel High) and QUINTON MAXWELL (6’3, 340 pounds, King High in Detroit). Defensively, some of the key Comets figure to be cornerbacks CHRIS JONES (Lincoln High) and FALAMOE STEFFANY (Vista High), nickel back and converted running back JOSH BERNARD (Oceanside High) who was the Comets’ leading rusher two years ago, linebackers SPENCER KAOANGA (Oceanside High, Air Force Prep), QUINTON GAUDET (Escondido High) and JONATHON SEGI (Oceanside High) and down linemen MARTIN BONACCI (El Camino High), ISAIAH KALEOPA-TUISEE (Oceanside High), KOA EVALU-ROBINSON (Lahainaluna High, in Maui, HI), 300-pound Northeastern State transfer NICK SO’OTO, JAYSON PACE (Temecula Chaparral High), 280-pound VAAALOTASI IEROME (Radford High in Honolulu), YUSUF LEIGH (Temecula Linfield Christian High) and JORDAN DUSON (Oceanside High). The Comets have had a string of outstanding punters, including two that went on to the NFL, and must replace Australian TYSON DYER, now starting at the University of New Mexico who arguably was the best punter in community college football last season. It appears JACOB VOSE (El Camino High) is ready to step into his Dyer’s very large shoes. The Comets will host Southwestern a week from Saturday evening, on Sept. 8, at Escondido High’s Chick Embrey Field at Wilson Stadium, in their home opener. 94 Nick So’oto DL Fr 6’2 300 Bossier, LA/Parkway/Northeastern St.